The DMR for Electric Utilities Roundtable was a moderated open discussion. Several themes reoccurred through the day. This transcript pulls together the phases of the discussion that centered on the theme, "Using Spectrum for Mission Critical Voice and Efficiency Improvements." Moderator: Of course, this is an opportunity for cognitive radio, too, which looks opportunistically for channels that are not used. Does anyone look at cognitive radio at all? In the utilities industry? Member: TV whitespace rules are somewhat attractive to utilities. They use that cognitive radio function. Cognitive radios are also used in LAN mobile radios in some instances, and the new version of LTE has that capability where it can take bandwidth available from this frequency band and actually combines it with a completely different frequency band to have a combined data stream. Member: The four conversations I just heard lead into what I was just going to comment on actually. We started with number one, future of the digital connected utility. Then the conversation turned into the present needs of the utility as the utility is today. We talked a lot about communicating with the mobile work force. Communicating with the mobile work forces the way today's mobile work force operates. But tomorrow's mobile workforce is going to operate differently. You are going to have video imaging on-site. If someone does go down, it is not going to be just that warning button. It is going to be, you know, instant communications to the hospital network who have their own safety network in place, visual imaging to the doctor who can make an off-site call as to how to immediately treat that person. So in the utility of the future, the workforce of the future is going to be much more connected and those requirements are going to be bandwidth-intensive. There will be some less bandwidth intensive needs out there, and DMR must have a place for those types of needs. Moderator: Yes, if you are using DMR as a last mile, is that going to make things better, or is it going to make no difference, or is it going to make things worse? Any views here? Member: Just a question I had regarding the technology itself. Being an infrastructure guy and being familiar with cellular build-outs and PCS-type build-outs, what is the propagation of DMR radio? How many miles per tower can you cover? Member: That depends very much on the several factors: if you are in a rural area or if you are in an urban area and what frequency you are using. In Brazil, most of electricity utilities can have one of two possible bands: VHF ( 150 or 160 MHz, and now they are moving into 300/ 380 MHz) as well as some using the 800 MHz band (but they will probably be forced out of it). If you are using 170 MHz, you can cover more area, but your penetration is not as good as 800MHz. Member: You can't get in-building coverage. It is similar to PCS cellular technology with more bandwidth. Member: Terrain is an issue?. Member: Well, terrain, of course. If you are in a mountainous region, you have lesser penetration than over an open area. But there is another point: that is vegetation. If you have very dense vegetation, the absorption, in my experience, is 20% more than in an open area. And inside buildings - let's say, very, very crowded area like São Paulo which is like New York, the buildings can create a kind of wide gate, and suddenly you have a coverage in a street, so it is not an easy question to answer. The first thing that we do when we are asked to make a project: we do a coverage study. And this coverage study has to be very carefully done; otherwise, coverage planning can be prone to a lot of errors. Member: Based on capacity constraints, you may have a lot of users in one area. And different frequencies available there. Member: The same for utility. Because you know what you want to cover. Let's consider a transmission utility: they want to cover the lines. They need your radio propagations to follow the transmission lines. But if you are a distribution company, you more or less have a urban mass to cover. Member: It is, but if you want to look at one trial, which was done by Hydro One up in Barrie [Southern Ontario, Canada], where there is a 400 foot high cliff and the tower on top of that cliff was an additional 80 feet up, we were able to read DMR at a little over 20 miles from and receive-and-send DMR in a 700 MHz frequency range at a little over 20 miles from that particular tower site.. So ,frequency, vegetation, tower height, power on the antenna, antenna design, lots and lots of different factors that change or affect coverage. Member: We don't worry too much about rain and vegetation in Nevada. Moderator: How did the Barrie DMR coverage compare to analog? Member: We put this on an analog, too, and we turned off the analog frequency during the time we were doing testing, and then we went back and forth between the two. Moderator: How did the two compare? Member: I'm not going to say matching to the dB, but we got comparable usable coverage in that test area between the two radio systems. Member: On the same frequency. Now, there were two things that were different that are important and critical here. The antenna that came with the DMR system was probably three orders of magnitude better than the antenna that was there with the analog system. The antenna that was there with the analog system was probably one step up from a hanger. And the second thing is, that particular DMR transceiver had about 40 % more power than the analog transceiver that was originally on that tower. Member: Well, this we have to be very careful, because the problem is usually not coverage out, but coverage ­. Member: And again, as I said, the antenna was much, much better. Member: No, no, no. I'm saying the other device, because you are talking about the out device. That means your repeater. The other side is really the guy that gives you the coverage. That means the portable or the mobile transmit, which is usually 30dB lower in power or 10dB lower in power. This is the guy that you need to reach the tower. Member: But you are able to build repeaters into the system, though, to bring that capability back much as you could with a single paging system, right? Member: But you still talkback-limited versus talkout-limited, generally. You try to balance these. But one of the distribution co-ops that we serve put in a Motorola MOTOTRBO system, and they found that their coverage was actually significantly improved. Member: Yes. And their audio quality was much better in the field. Moderator: That doesn't surprise me. Member: They have some issues with audio quality in their dispatch center. They are not really sure why, and they are working with the service shop that sold them the system to try to figure that out. Moderator: Did you find that the new coverage footprint was very similar to the old? Because, I mean, you've got the overall coverage boundary, but, inside that you may have areas of good coverage and areas of bad coverage. Were these areas similar between the MOTOTRBO DMR and whatever you had before. Member: So that, I don't know. Member: Because they are not a company that would go out there and do quantitative coverage testing. This is more of a qualitative report. This is what they are hearing back at their operation center - I know their operations people very well. So the feedback that I heard is that their coverage improved, and the audio quality is better. That is the extent of what they could report back. Moderator: The second question would be, well, in all the tiles in the coverage area did they meet their coverage targets? Member: They didn't do coverage testing on either system, so there is none of that data to compare. Member: With the repeater in the digital system that we implemented in place of the (same frequency) analog system, we got better coverage. But then, you have to be careful, because we are replacing an old analog system with old antennas, old cable system, everything old. Everything that we put in was new - brand-new - and better antennas, and everything was better, newer. Then it improved the coverage and improved quality of the voice. But we have to compare it fairly. Member: Usually you do it if possible. Member: I think it depends, and, you know, at a distribution cooperative, they don't typically have telecommunication staff. Member: Very easy to know. Did you close your other system? Member: No, no, no. So this is not my company. This is one of our distribution cooperatives which happens to be a company in the area where I live. My husband works for this company as an operator, so he is telling me the information. And then I also know their engineer very well but this is a power engineer, not a telecommunication engineer. They don't have telecommunication staff. They have one power engineer. They hire a service shop to go out and do the installation, and they don't think of the things like doing coverage testing before, doing coverage testing after. And so, you know, none of that information is really known. Somebody might know that information, but they are hiring that engineering out - completely outsourcing it. So I don't have any of that information. Member: Usually you don't close on a system. You implement, and then after it works, you close the other. Member: Not here. They used the same frequency, so they would have transferred their system over. They wouldn't have had both systems operating simultaneously. They would have done a cutover from one system to the other. It is a small distribution company, so it is not, you know, widespread. I think they have three repeater sites and probably 30 or 40 vehicles in all. It is a small system. So they can do that cutover in a relatively easy manner and probably on a day when they have a safety meeting or something like that. Member: What we've seen here today so far in both technologies, dPMR and DMR, is that actual real world coverage - both to the edge and within the boundaries - exceeds what propagation analysis would suggest you will get in analog radio. There are no DMR computer-modelling algorithms at the moment, so we are seeing consistently better coverage. And we have more or less determined is that typically, in the analog world, what destroys your coverage is when noise ramps up against signal. And in the digital world, the noise can be extracted leaving you with a more usable signal in lower environments. So that to your point, Jan, those areas that were kind of poles within the coverage area have come up and lit up. Moderator: Yes, they were too noisy before. The trouble with coverage analysis and validation is that - as you absolutely rightly point out - it is divided between the straight engineering stuff, which is a propagation analysis, and the subjective stuff, which is 'what does somebody hear on our radio'? And, you know, these are specified in RFPs, a delivered digital audio quality (DAQ) level of some value. And certainly, for digital, you can guarantee this level up to a certain coverage boundary, and beyond this boundary there is nothing. Because digital is just all-or-nothing. But it just depends very much on what audio quality a particular customer expects in a certain region. They may be intolerant of moderate noise, where another user would say, "well, I'm actually getting something there". Member: I mentioned earlier, we did a 5-site NXDN deployment that really displays exactly what we have been discussing: that the audio quality improved just because you went to digital modulation. We actually did drive tests with some software that said that we had very, very similar coverage patterns. We did it in VFH and in UHF. One thing that popped up huge - which made us actually bail out of it - was that a multi-path environment absolutely killed the NXDN [performance]. Moderator: Interesting. NXDN, as you probably know, dates from when the early DMR standard split between dPMR and what is now DMR. It was a split between a two-slot TDMA technology, which is what DMR is today. But dPMR is a 6.25kHz FDMA technology. So the interface is utterly different, so you may well have different coverage characteristics. Member: So DMR is not going to have multi-path susceptibility? Moderator: No. All radio technologies have multi-path susceptibility. But the issue is just how each responds to it. Different technologies are going to respond differently with some more resistant than others. So, obviously, DMR is going to have some degree of multi-path susceptibility. Why I'm interested in your point here - while we are bringing out the differences between these two technologies is in the question it raises: how to do the two technologies - the one utilizing 6.25kHz FDMA and the other utilizing 12.5kHz two-slot TDMA - respond to multi-path? Member: Interesting. We ran it at 12.5kHz, which is where we started. When we went to 6.25kHz, it actually did better. Now, the other thing that happened is in the design of their system, when they went to 6.25kHz, they also doubled the speed - the baud rate - in the control panel. And we felt that the reflected signal would actually come in and destroy the digital control channel. You would lose lock to it, and then, of course, you would lose everything, which put just major holes in it. Moderator: Just on that point that you make in the difference in behavior. Correct me if I'm wrong, anyone, but I think the NXDN interface is built for 6.25kHz channel spacing, and when you put it into a 12.5kHz band, you are actually making it run less efficiently. Member: That is absolutely correct. Member: I just want to make one point, not having done a lot of research on the hardware infrastructure of your DMR. In cellular, they are using on the uplink, a diversity receiver. There are two receive antennas and two separate independent receivers, And then there is, you know, a selective combining technique. Is there anything like this in DMR, given the fact your uplink is generally your weaker link. Moderator: I think the answer that any manufacturer would give you is that the use of diversity receiver is not a cellular-vs-DMR technology-dependent thing. That depends on how you want to build a product and what benefit you - customers and manufacturers - get out of receiver diversity. But, you know, it is really up to the manufacturers. It is not a DMR Association matter or a standards issue. You know, receiver diversity could well bring some benefit in certain situations, because it is just one way of dealing with multi-path, and that is regardless of any radio technology. Member: I would add that Dataradio, in conjunction with Tait, came up with a diversity scheme. They quantified a 12dB improvement using diversity. Moderator: Dataradio, incidentally, was also the same company that managed to get some pretty impressive data speeds out of analog. So anyone who says, well, you need to move to digital to get better data performance may be out of line. There is more than one way to skin a cat, even in analog. So, in terms of coverage, be happy that as part of utilities replacing MPT systems, or analog systems, or LTR (Logic Trunked Radio - an EF Johnson technology) systems with DMR, you actually might even get a benefit rather than a loss. That is one of the crucial parameters for the mission critical communications, the performance of voice communications. DMR, it seems, would fit the bill very well. Is that right? Member: So both of the projects that I'm looking at moving from analog to digital right now, the going in position is we are going to reuse the existing tower sites in the existing frequencies and move them over to digital. And I think that is a pretty nice advantage if it turns out to work. But, as a starting position with both networks, we are going to reuse 100% of the tower sites. We are going to reuse 100% of the existing frequencies and just replace equipment on those tower sites. Moderator: And know that you don't have to add new sites? Member: That is the going-in position. Rubber will hit the road at some point, and we will find out whether or not we are right. Member: I was wondering if your studies showed if you would be able to use fewer of those tower sites? Member: Not with the distance between the towers in the areas that we are working in. We are covering an area that is about 250 miles north to south by about 180 miles east to west with about 70 towers. And we need to make sure that we have at least two-tower coverage everywhere inside of that area. Member: So we have three coops who put in DMR systems. Two of them reuse the same number of towers. One of them added some: they had four towers and went to seven. I don't know if they had coverage holes before that they filled in -- I mean, there are now seven. You are trying to improve your existing coverage, as well. I don't know that. Moderator: Another issue, given that you are using MOTOTRBO, is that is, I believe, a conventional digital system - Tier 2 DMR. It is not trunked. Member: They have two different flavors. One is conventional and one is trunked. I don't know if it is DMR trunked or if it is Motorola trunked. Moderator: That is probably critical. I would be guessing that it is Motorola trunked, but not Tier 3 DMR. Member: That would be my guess, too. Member: That would be my guess. Moderator: Yes. It is my guess, too. So is the conventional operation sufficient? Or is some form of trunking where you want to go generally? Member: It depends on the company. So there are three different distribution cooperatives in my area and the people that I deal with. Two of them went from conventional analog and just went to conventional MOTOTRBO. One of them was on my SmartZone system that went to their own trunked, the MOTOTRBO system. So one of them had already been in a trunking environment where they could do wide-area operation. The other ones had never been in that environment before, so they weren't really going back. They just stayed with what they had. Moderator: Yes. In public safety, there is a huge debate. A lot of them have been on conventional systems, and they like the speed. You know, the trunking does involve some added complexity, a little extra maintenance, a bit of a delay in the call set-up. Member: I would argue against that. I can't imagine my users going from a trunking technology backward, because they roam automatically. They change sites automatically. Everything is automatic - there is very little user intervention. They don't need to know what site they are on. They just use the system. Whereas, if you have conventional, you need to know the repeater side you are on. You need to select it. I think it is more complex that way. Moderator: Rick, and then Dennis. Member: They made a point exactly to your point, Kathy. Black Hills Power has the trunked network, and they acquired another utility down in Pueblo, Colorado. Just recently they have started migrating the system operations to our headquarters in Rapid City, and they've got a conventional system down there with five separate mountaintop sites to cover that area. And the same system control operators that are used to the simplicity -- you know, you punch the button, and you get this broadcast to anybody you want. It is very easy to use, the trunked network. Now, all of a sudden, they are like, he says he is in this area, and they are not really sure. So they are trying to figure out which one of these towers he is near. So that is what we used to have at Black Hills Power, that same conventional system. And, after a while, they would kind of learn where the guy would be at and where they are most likely going to find him, what site. Member: In our trunk system we have 14 of our distribution cooperatives that also use it. All of these companies can operate independently in normal circumstances, but in circumstances for mutual aid or switching - things like that - they can go to common talk groups or can go to another company's talk groups. All the talk groups are programmed in everybody's radio. So it is a huge benefit from a mutual aid standpoint of having multiple companies on it, because no one hears that in day-to-day traffic, but they can, you know, use it to their benefit when they need to. We also have some distribution cooperatives who do after-hour dispatching for other distribution cooperatives. So they will switch over, and on the console, they will have these other companies' talk groups so they can automatically communicate with their vehicles. They don't have to worry about dispatching over cell phones and things like that. It has been a huge benefit for them from that standpoint. Member: No, they are, they are. Yeah, but they are used for different purposes. If you are doing your normal day-to-day work, you want people around you to know what you are doing, so you do talk groups. If you are a supervisor and want to have a conversation with one person that is more or less private, you use your private call, or, you know, you want to talk about something that is not really related to what you're working on or, you know, planning to meet up with someone for lunch or something, then you use a private call. But anything that relates to electrical system, that is always a group call. Member: That was a question I always had when we were talking much earlier about the base stations going down. You still need mobile-to-mobile communications. Member: And if DMR is, essentially, a digital technology - as it relies on the repeater for encoding and synchronization - then the radio still has to have some fallback analog capability. Moderator: Some simplex capability, you mean? Member: P25 can do it. I don't know if DMR can do it. Moderator: …it is a sort of different. Member: It is something complicated, and it would take the whole channel, all four time slots, to work on. But DMR, I don't know. Member: No, no, because of that, TETRA can do it by using a handshake. Moderator: You need a handshake beforehand, yes. P25 does it. It both has an analog fallback, and that can do simplex, obviously, but it also has a digital simplex, which is straight radio-to-radio. And that is what the fire guys use when they go into a burning building. Even if they are on a trunk system, they want to know that they can do direct radio-to-radio which does not rely on a trunking connection. And DMR, I believe, has that same capability, the technology. Member: I thought DMR Phase 1 was direct mode, Phase 2 was conventional, and Phase 3 was a tier. Moderator: It has tiering. So Tier 1 is, basically, hobby radio, fish guys, deer hunter to hunter. That is in license-free spectrum. Tier 2 is in licensed spectrum but it is conventional operation. It is like MPT1327 in terms of a number of the call services. Tier 3 is even more like MPT, because it has got real trunking services- it is the trunking operation version. Member: Well, if you are talking -- if you are talking fishermen mobile to mobile, or like a walkie-talkie mode, that would be direct mode. Moderator: DMR Tier 2 and Tier 3 will support a direct mode. It is just one amongst the different call types. So, the only reason Tier 1 is of no interest to you is because that is basically other radio manufacturers' low end PCS-type radio product ranges and not intended to be for professional radio. 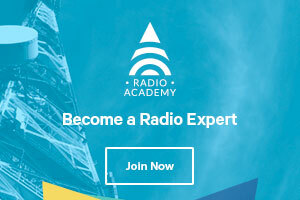 It uses license-free public access spectrum, not spectrum set aside for professional radio users. So from the point of view of providing that support for direct mode, yes, the professional tiers of DMR can do that. Moderator: Sure - you can already have web-hosted applications from a number of different AVL providers integrated to a variety of radio systems. Maybe even yours. You don't need to move this onto a commercial service.